Donny Osmond:	Hi, I'm Donnie Osmond, and welcome to The Brain Warrior's Way, hosted by my friends, Daniel and Tana Amen. Now, in this podcast, you're going to learn that the war for your health is won between you ears. That's right! If you're ready to be sharper, and have better memory, mood, energy and focus ... well, then, stay with us. Here are Daniel and Tana Amen. Tana Amen:	Hi, everyone. Today, we're going to talk about natural ways to beat anxiety, panic attacks and depression. This is one of my favorite topics. Dr Daniel Amen:	So many people who come to Amen Clinics, they don't want to take medicine. Dr Daniel Amen:	Or they're on medication, because they went to their family doctor, and said, "I'm not sleeping, anxious and sad," and they left with two or three different medications. Now, they don't like how they feel. Tana Amen:	So, just to make it clear, we're not anti-medication, not by any stretch. But we want to make sure we're giving you all the tools that we can, for you to feel your best, and have natural treatments as well. So, at one point, when I was really sick, I was on nine medications, but half about of those were to manage the side effects of other medications. And no one wants to do that, because it makes you feel miserable. So let's talk about what you can do on the natural front. Dr Daniel Amen:	Well, and I always think, when I was in medical school, my professors used to always say, "First, do no harm. Use the least toxic, most effective treatments," and in head to head studies with antidepressants, exercise equally effective to Zoloft, after 12 weeks. After 10 months, exercise was more effective. Tana Amen:	And it was Hippocrates that said, so long ago, that if you feel bad, go for a walk. And if you still feel bad, go for another walk. So it tells you something. 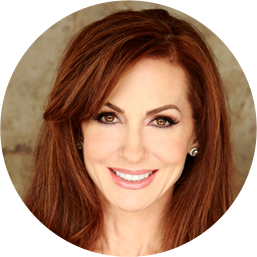 Dr Daniel Amen:	So, sunshine has also been associated with feeling better, with feeling happier. Having eight servings, up to eight servings of fruits and vegetables a day, there's a linear correlation between the number of fruits and vegetables a day, and how happy you feel. Tana Amen:	Isn't that amazing? Dr Daniel Amen:	On Omega III fatty acids, in addition. Not learning how to not believe every stupid thought you have. 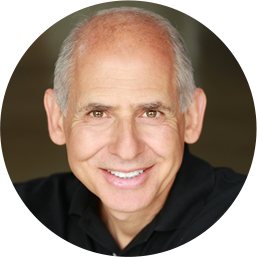 Dr Daniel Amen:	Coming up in the podcast, we're going to talk about overcoming negativity and killing the ants. But learning how to manage your mind, head to head, with antidepressants, has shown ... the technical term is cognitive behavior therapy, or CBT, can be equally effective. In my mind, if I'm said, go for a walk, and then another one. Omega III fatty acids, more fruits and vegetables, and not believing every stupid thought I have. Tana Amen:	So we actually have an example, a live example of this right now, with someone that we are working with, who's very close to us, who is honest ... well, probably not one of the most extreme cases you've seen, but one of the most extreme cases that I've dealt with up close. Where we are working very closely with this person, and was just, so many things that needed to be corrected, let's put it that way, to make her life optimal. And was, I mean, extreme trauma. Numbers, important numbers, were about the worst that you could imagine. Just everything was sort of backwards and not right. History of trauma, head injury, drug abuse, on and on, and not exercising, overweight, obese, all these things going on. Within one month of doing all the things you're talking about right now .... so eating the way that we're talking about in Brain Warrior's Way, all of a sudden exercising, getting some decent, mostly walking ... some simple supplements and meditation, and all of a sudden, and we taught her how to not believe every stupid thought she has. And within a month, the change is radical. I mean, radical from where she was one month ago, to where she is today, in not only her negativity, but her energy, her happiness, her ability to deal with problems. Her memory and focus are unbelievably improved. So, it's just so important to get some of these basic things down, and it makes me wonder why. People say, "Well, how can natural treatments be so effective, compared to medication?" I don't know, maybe this is me just wishful thinking, but I think that so many people are depleted in some of these things, because we haven't taken care of ourselves for so long. That really what we're doing is giving our body what it's needed all along. Am I right on that? Dr Daniel Amen:	With good doses of Vitamin D, Vitamin C, B-6, B-12, and fully, along with zinc, can make a huge difference if you're depleted enough. Tana Amen:	Right, it's not voodoo! Dr Daniel Amen:	According to the Mayo Clinic, 97% of the population is missing one of the major four pillars of health. So, either their diet/exercise is not right, or they're smoking and drinking. Dr Daniel Amen:	I mean, and if you are anxious, and you have muscle twitches, magnesium can help so much. It's one of the most simple cheapest natural things to do to help with anxiety. Tana Amen:	Right, so the point I'm making is that this isn't voodoo. It's really about giving your body what it was meant to have, that we have depleted for so long, right? We're getting back to a natural state. Tana Amen:	Like a baby. Dr Daniel Amen:	Just like a baby. If you watch a baby breathe, or a puppy breathe, they breathe almost exclusively with their belly. Something really simple. You're starting to have a panic attack, want you to take 10 deep breaths. When you take a big breath, hold it for two seconds at the top, when you breathe in, and then take twice as long to breathe out. On Brain Fit Life, we actually have a game. There are 30 games on Brain Fit Life, and one of them is called My Calm Beat, and it's just drop dead simple. As the lungs fill up, breathe in. As they go out, breathe out. I mean, how simple is that? Do it 10 times. That can actually break a panic attack. Magnesium's great for anxiety, as is Gaba, and [inaudible 00:07:14]. If you're struggling with sadness, [Sami 00:07:19] can be really helpful, especially if you take it with [B Tang 00:07:23]. Or, if you tend to be a warrior, and you loop on negative thoughts, saffron, or 5H2P, can be really helpful. Tana Amen:	And isn't true that if your Vitamin D is low, you're more likely to be depressed? Dr Daniel Amen:	Much more likely to be depressed. Dr Daniel Amen:	And then, a brand new study about sunshine, and its impact on mood. So go out during the day, and get some sunshine. All of you should know your Vitamin D level. We think it should be optimal, so normal's between 30 and 100. We think you should be between 50 and 100, and I like to keep mine about 80. So, just some tips on natural things you can do to bust up depression, and help yourself with anxiety and panic attacks. One of my favorite things to do is teach people this meditation, called "Loving Kindness Meditation," where you first do it toward yourself. You repeat phrases like, "May I be happy," "May I be healthy," "May I be at peace," and do that five or 10 times. And then do it to someone you're thankful for, like I do it for Tana, or Chloe, or my mom or dad: "May you be happy, may you be healthy, may you be at peace." Tana Amen:	That's actually the most challenging, but the most powerful part of it. Dr Daniel Amen:	The most healing, right? Because forgiveness is very powerful, so somebody, maybe, who's attacked me or my work: "May you be happy, may you be healthy, may you be at peace," and then to the whole world. They found that people who did this meditation have more gray matter in their brain. That their stress markers are lower, their inflammation markers are lower, their headaches are lower, their symptoms of anxiety, depression and PTSD are lower. So meditation can be really helpful, and then, one of the treatments we do at Amen Clinics is something called transcranial magnetic stimulation. Dr Daniel Amen:	So we use powerful magnets to usually stimulate the left front side of your brain, if you're sad, or calm the right side of your brain, if you tend to be anxious. So there are lots of natural ways to support your mood, and healthy relaxation, and that's what we wanted to share with you today. Tana Amen:	Thank so much. Dr Daniel Amen:	Stay with us. Amen. Donny Osmond:	Thanks for listening to today's show, The Brain Warrior's Way. 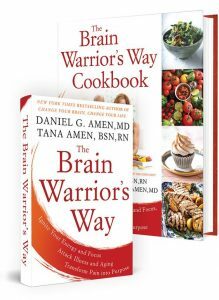 Why don't you head over to brainwarriorswaypodcast.com, that's brainwarriorswatpodcast.com, where Daniel and Tana have a gift for you, just for subscribing to the show? And when you post your review on iTunes, you'll be entered into a drawing, where you can win a VIP visit to one of the Amen Clinics. I'm Donny Osmond, and I invite you to step up your brain game, by joining us in the next episode.